An Original Vintage Theater-Used 8" x 10" Movie Still Condition: Excellent (C8) See our 10 GRADE SYSTEM Page for more information. 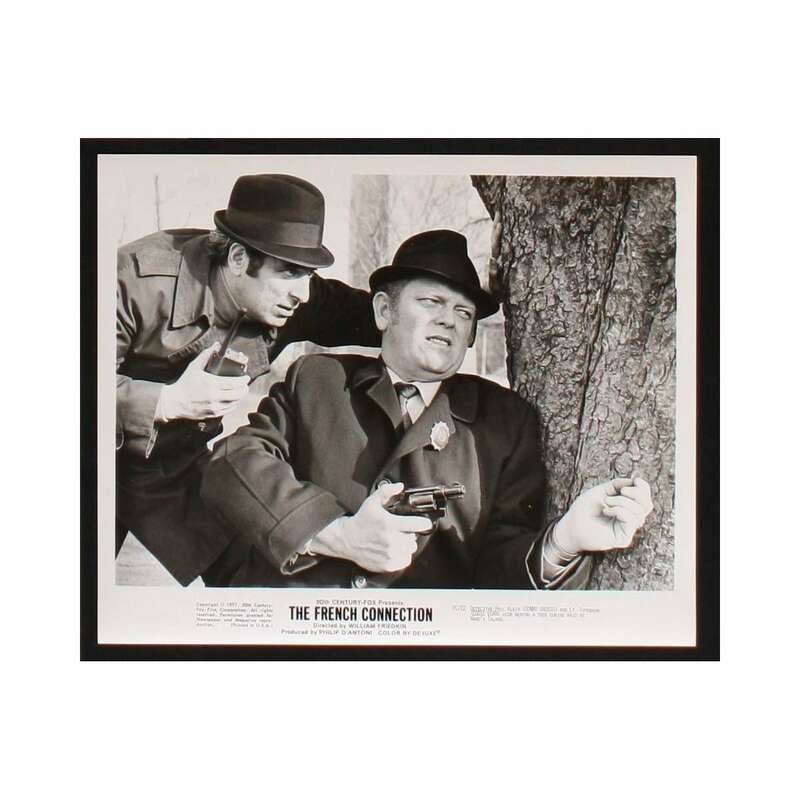 The French Connection is a 1971 American crime film directed by William Friedkin. The film was adapted and fictionalized byErnest Tidyman from the non-fiction book by Robin Moore. 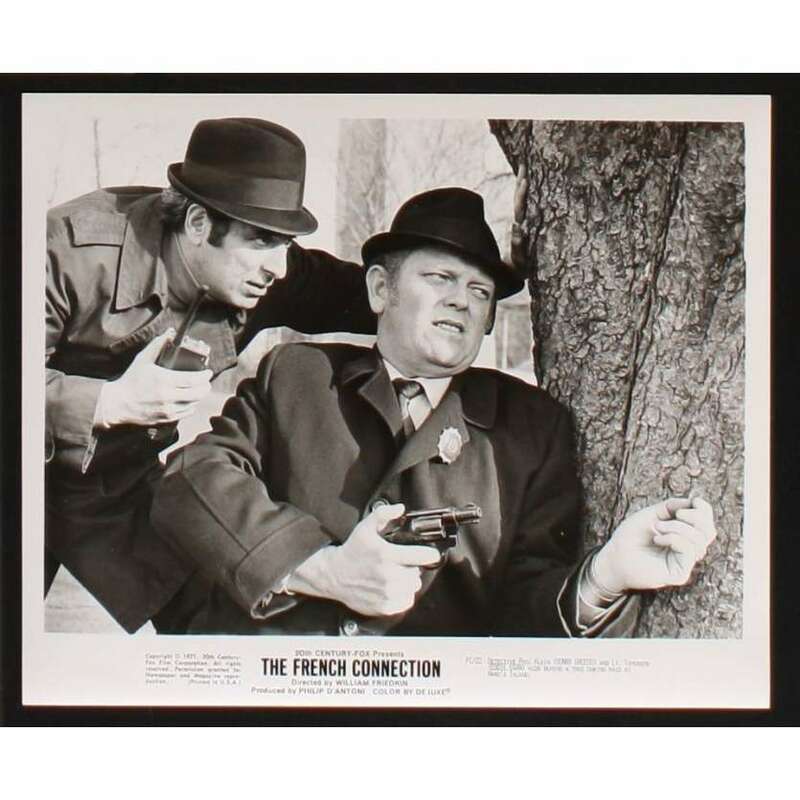 It tells the story of New York Police Department detectives named "Popeye" Doyle and Buddy "Cloudy" Russo, whose real-life counterparts were Narcotics Detectives Eddie Egan and Sonny Grosso. Egan and Grosso also appear in the film, as characters other than themselves. It was the first R-rated movie to win the Academy Award for Best Picture since the introduction of the MPAA film rating system. It also won Academy Awards for Best Actor (Gene Hackman),Best Director, Best Film Editing, and Best Adapted Screenplay(Ernest Tidyman). It was nominated for Best Actor in a Supporting Role (Roy Scheider), Best Cinematography and Best Sound. Tidyman also received a Golden Globe Award, a Writers Guild of America Award and an Edgar Award for his screenplay.